Read Steve's review of Glass. From Unbreakable, Bruce Willis returns as David Dunn as does Samuel L. Jackson as Elijah Price, known also by his pseudonym Mr. Glass. Joining from Split are James McAvoy, reprising his role as Kevin Wendell Crumb and the multiple identities who reside within, and Anya Taylor-Joy as Casey Cooke, the only captive to survive an encounter with The Beast. 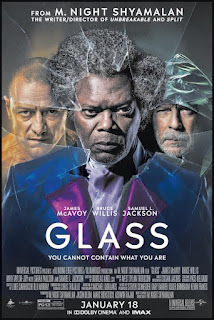 I initially struggled with exactly how to put into words how I really felt about Glass, but I think I can best sum up my feelings on this movie with: It’s Complicated. Following the events of Split, we check back in with David Dunn (Bruce Willis), from Unbreakable, who has since become Philly’s very own vigilante. He aims to protect the citizens while tracking down Kevin Wendell Crumb (James McAvoy), the man with multiple personalities who is terrorizing the city. Their paths eventually cross with that of Mr. Glass (Samuel L. Jackson) and psychiatrist Dr. Ellie Staple (Sarah Paulson), tying together the plots and characters of the previous two movies in the series, Unbreakable and Split. I left the plot vague as not to spoil anything for those reading who haven’t seen the film. For those hat have or like to spoil things for themselves, I’ll have a spoiler-filled and more thorough review below. I will say that I really enjoyed the movie, but I know a good number of people who did not. The movie does a great job of tying everything together to really give you a sense this is a grander universe converging for the end of what was a larger story. The entire cast delivers incredible performances, especially James McAvoy who is able to bring an intense life to all 23 of his characters’ other personalities. You’re feelings on how director M. Night Shyamalan executes this vision will be entirely up to personal preference. It’s definitely polarizing and has some issues, but I think it’s worth your time. I don’t disagree with some of the faults others have raised with the movie, the thing is that those things just didn’t ruin the movie for me. One of the bigger issues is the death of all three main characters, David, Kevin and Mr. Glass, especially David. As the character brought up over and over throughout the film, comic books hold a heavy weight in this universe. 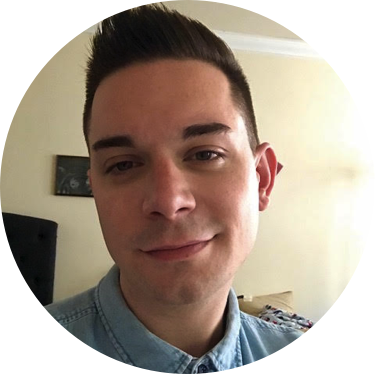 It inspires Mr. Glass and his motivations, it informs the other characters as they move through the story, and it’s the focus of the work Sarah Paulson’s character is undertaking, both her fake and real jobs. Director M. Night Shyamalan kept his version of a comic book story very grounded and tried to get the viewer to imagine what superheroes might look in our own world. Comic books tend to have tragic beginnings, middles and ends for its antagonists and protagonists. Villains and heroes alike die all the time, sometimes they come back and then die again. This feels like something M. Night kept to help ground the film in our world. Do I feel it’s a little anti-climactic to have what is arguably the most “main” character come back after 19 years just to be drowned in a flooded pot-hole? Yeah. Does it ruin the entire film and series of films that came before it for me? Nope. But I also feel like for those who find this and other issues ruin it for them, are valid in feeling that way. I would have loved to learn more about this apparent anti-super-human secret society that seems to be wide spread and all-powerful. I also would have liked more background on Anya-Taylor Joy’s character and how she came to be so connected to Kevin after everything he did to her and her friends. I get that it’s weird but explained well maybe it wouldn’t have felt that weird? I was able to overlook this but I can’t argue that plot line feels strange, I understand that individuals who go through something traumatic like what she did can have extremely complicated feelings towards their attackers/abusers, but not taking the time to suss this out and make those nuances clear makes it feels oddly placed. Though I see how it can serve to provide a connecting character for Kevin as David’s son and Mr. Glass’s mom are for them, that doesn’t mean I think it makes the most sense. I liked his parallels to both the comic and real worlds, he had some really gorgeous shots in this film, and all of the actors delivered amazing performances. I love M. Night and his films, even those that others overwhelmingly do not. I have issues with this film as I do for most, even ones that I love. 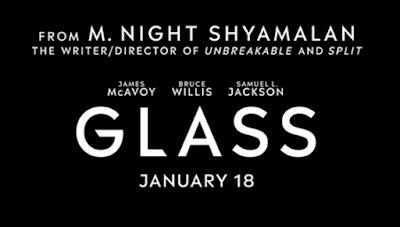 I do not think it’s even remotely close to perfect or even my favorite M. Night film, but I really did enjoy Glass for what it was. I’d be excited to see if M. Night expands on this universe he created now that the stories of our three main characters have come to an end, but I’d also be satisfied if this is truly a finale.